The report of the High Level Expert Group on Universal Health Coverage for India reaffirms the principles of universality and equity in access to healthcare and the central role public services have to play in bringing this about. However, the HLEG pays inadequate attention to regulating the deeply entrenched private health sector, which is not only embedded within an intricate and interdependent web of power relations, but also has a marked influence on policy. Apart from referring to gender concerns in its chapters addressing critical areas of the healthcare system, the High Level Expert Group's report on Universal Health Coverage for India has a separate chapter on gender and health. While the report as a whole and this chapter make several sound suggestions, what comes through is that much more could have been done. In the absence of a gender and health analysis framework, the report tends to address gender issues in an ad hoc and uneven fashion. India's steps towards universal health coverage began in the early years after Independence but they faltered because of various factors, including resource constraints. The context has vastly changed since then but the need remains as urgent as it always was. This overview to the special issue on the report of the High Level Expert Group on Universal Health Coverage notes that the report takes into account the complex nature of the health situation in the country and puts forth an integrated blueprint for achieving UHC. There may be a few shortcomings, but if the interlinked proposals are implemented in a carefully planned manner, a long-delayed promise to the country's people could be largely fulfilled. Khap panchayats have had a long innings in the Jat-dominated areas of north-western India and some of their decisions that go against individual rights have led to heated controversy. This paper gives a brief account of how these informal social institutions for conflict resolution took root and the reasons for their continuing influence. It also looks into how big landlords have come to use khaps for their own interests and the causes that prompt these bodies to interfere in marriages that do not conform to traditional norms. 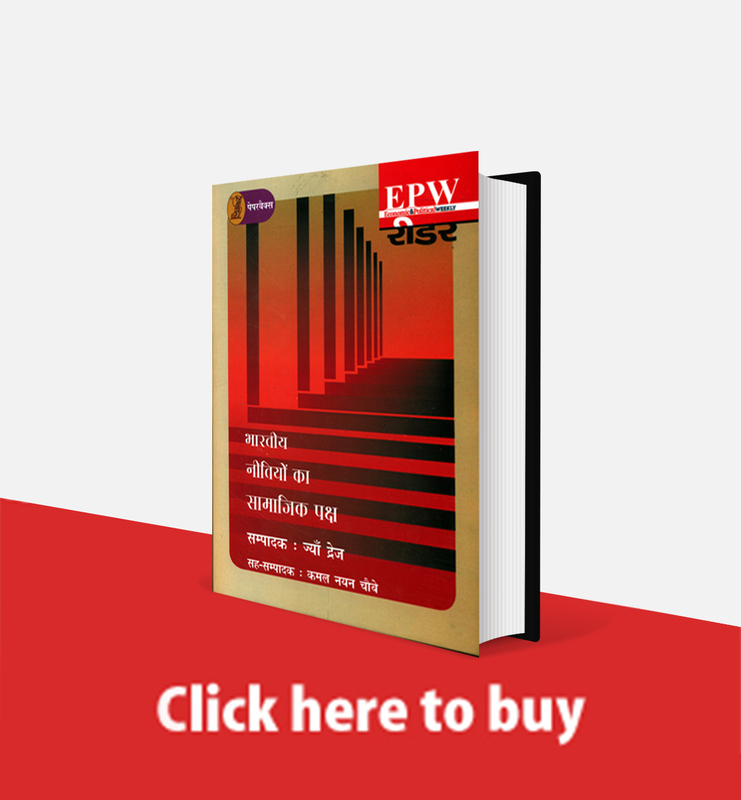 Interrogating the modern state's failure to check the unwritten powers of khap panchayats, it suggests some remedial measures that could be taken. Punjab's agricultural sector and allied activities are now in a crisis. 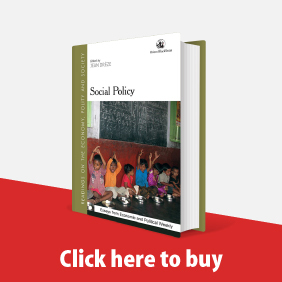 This paper examines the role of policy and institutions in perpetuating or tackling it. 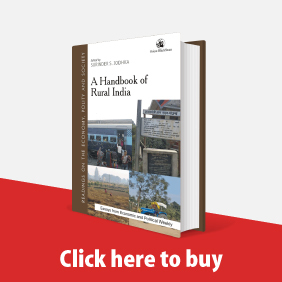 It looks at the major initiatives taken by various organs of the state in the absence of any other major institutional alternatives and analyses their class and social biases from a smallholder perspective. It also discusses new mechanisms such as contract farming, corporate farming and policies granting agricultural incentives and subsidies before putting forward suggestions to benefit smallholders and ensure the sustainability of the farm sector. A significant focus of policy in recent years has been to devolve decision-making and management of water systems to the community level. 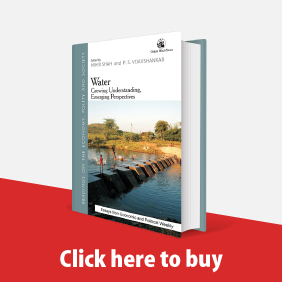 This paper is based on a study of a minor irrigation project in the semi-arid Udaipur district of Rajasthan, where the livelihoods of people in the watershed are dependent on canal water and there are serious inequalities in the distribution of water within and between villages. This study points to both the social and spatial dimensions of inequalities in access to water. It also focuses on governance arrangements and highlights inequalities that arise from the delegation of management of water systems to communities. These reflect the democratic deficit in local governance institutions and, in turn, the larger political economy. The regional pattern of temporary and seasonal labour migration in India assumes sharp focus when seen in the light of data from the 64th round of the National Sample Survey. The phenomenon is more prevalent in rural areas of the country's northern and eastern states. This paper also examines the association between temporary migration and its determining factors, particularly economic status, landholding and educational levels. It observes that there is a significant negative association between economic and educational attainment and temporary migration, both in rural and urban areas. In general, socio-economically deprived groups such as adivasis and those from the lower castes have a greater propensity to migrate seasonally, which also reflects its distress-driven nature. This article traces the shifting visibility of the river Yamuna in the social and ecological imagination of Delhi. It delineates how the riverbed has changed from being a neglected "non-place" to prized real estate for private and public corporations. It argues that the transformation of an urban commons into a commodity is not only embedded in processes of political economy, but is also driven by aesthetic sensibilities that shape how ecological landscapes are valued. However, the commodification of the riverbed must confront the fact that the Yamuna is an ecological entity with dynamics that can defy attempts at domestication. The right to the city, an idea mooted by French radical philosophers in 1968, has become a popular slogan among right to housing activists and inclusive growth policymakers. 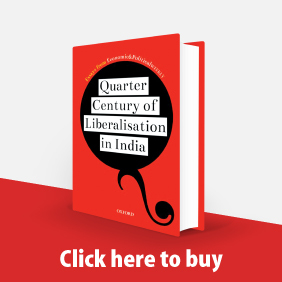 In Indian cities unprecedented and unregulated growth, incremental land use change, privatisation and chaotic civic infrastructure provisioning are fracturing resources created over centuries and reducing the right to the city to mere right to housing and property, thus short-changing the concept's transformative potential. Urban actors need to draw inspiration from the way social movements world over including in India have deployed the notion of the commons as a defence against corporate exploitation of biodiversity. Envisioning the right to the city as the fundamental human right, a demand for a just and sustainable social order where collective resources are respected and regenerated to support life, entails a democratic approach to the creation of knowledge about our cities. Such knowledge creation is necessarily a collaborative effort involving citizens who are differentially located in relation to the commons - policymakers, neighbourhood residents, workers and academic researchers. The point of convergence between cinema and constituents of the urban commons is the crowd and everything that the crowd connotes at any given point of time and in any discourse. Popular Telugu cinema is replete with examples of the crowd and what cinema does with it. This phenomenon of constituting and naming social formations and the misrecognitions it gives rise to are most instructive in a discussion of the urban commons. This paper analyses Eenadu, a 1982 Telugu film that is centrally concerned with crowds, to illustrate how cinema brings the mass gathered before the screen face-to-face with a version of itself on the screen, framing a new mode of political participation pivoted on the popular appeal of larger-than-life superstars.